Here are some other pieces that I created and submitted to different venues trying my hand at soft sculpture and Pop-ups. The first two pieces were a great opportunity to stretch my imagination and learn new techniques. When sewing textile art, I rely greatly on my garment construction techniques to help achieve the effects that I want. The third piece was an exercise in perspective, using fabric and different color values to achieve a realistic view outside of a window. 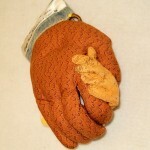 2006 – Soft Sculpture of a Father and Toddler holding hands – On permanent exhibit at the Creative Spirit Center, Midland, Michigan after a two week exhibit at the International Quilt Festival in Houston, Texas. Assembled and sculpted using re purposed denim, fleece and cottons. The hands were created from tracings of my son’s hand and the hand of his toddler son. 2007 – Hand painted textile pop-up exhibited at the Surface Design Association Membership Exhibit – Sum of the Parts, Kansas City, Missouri. 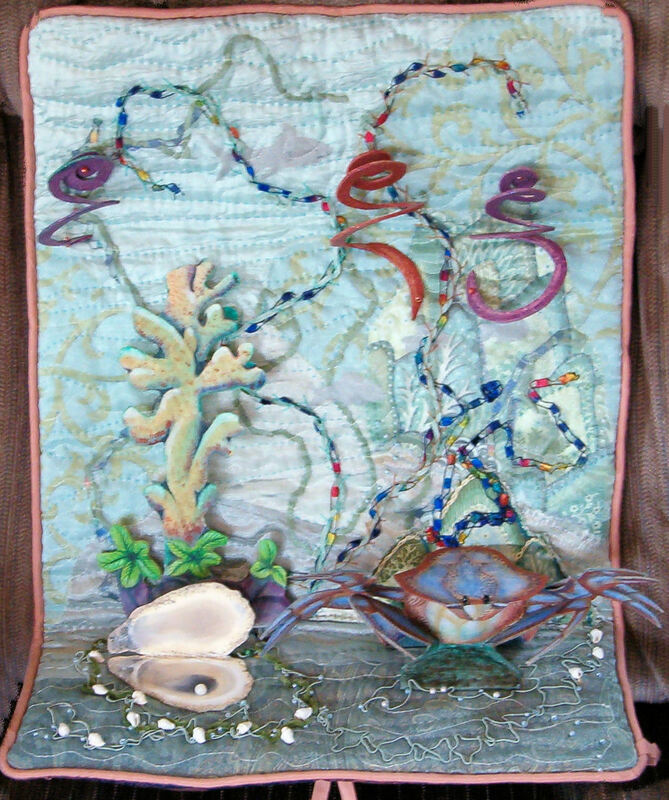 The piece is a tri-fold fabric pop-up depicting a blue crab and an open oyster shell with a pearl. 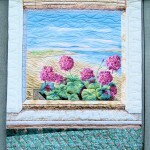 Hand Painted with Procion fiber reactive dyes and Machine Pieced and Quilted. 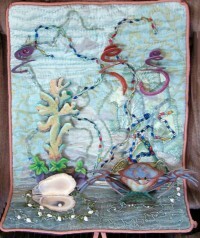 Sold at auction to benefit the Dennis Conservation Trust.